Thermoskin Open Knee Wrap Stabiliser Open Patella. This knee support has been designed with Velcro closure, provides greater patient comfort and the open patella will not aggravate tenderness or bruising that may be present as the knee cap is free from any compression. 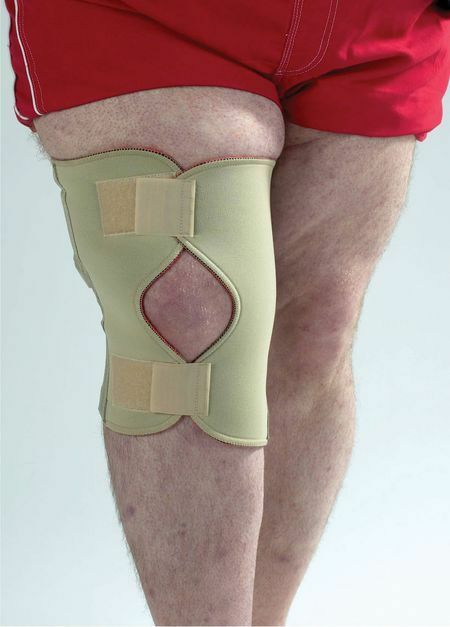 Has full-length anterior opening, popliteal cut out for comfort and unrestricted knee flexion. Side spirals for additional support.